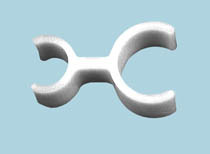 Our tubing connectors and specialty items are molded of a UV-resistant premium resins, and all screws are stainless steel to provide long life. 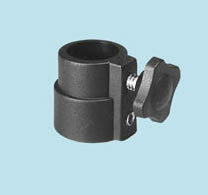 High strength nylon clips fit the most popular tubing and pipe sizes. Specify Black (B) or White (W). 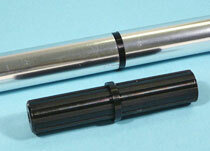 Fits 7/8” round & 1” round (OD). Black standard. White special order. Fits 1/2” round & 1” round (OD). White standard. Black special order. 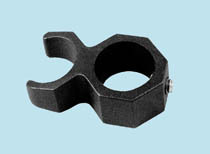 Fits 3/4” round & 1” square (OD). Joins 3/4" OD tubing to 7/8" OD tubing. 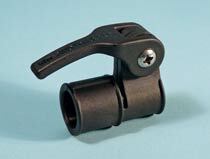 For many tubing and attachment applications. Nylon clip fits 7/8” (OD) tubing both sides. Stainless steel set screw. Black. joining 3/4” OD to 7/8” (OD) tubing. Stainless steel thumbscrew & set screw. Black. 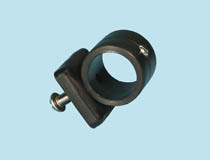 Mounts 7/8” round tube to a 1” square base. 90 degree elbow. 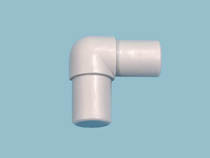 Fits 7/8” tubing, .058” wall. Black or gray nylon. Fits 7/8” (OD) tubing, .058” wall. SS screw. Black or gray nylon. Pole tip fits inside 3/4” tubing, .058” wall. Black nylon. Pole tip fits inside 7/8” tubing, .058” wall. Black nylon. 3/4” (OD) tubing, .058” wall. 7/8” (OD) tubing, .058” wall.